Photographs of Mass Pike Interstate 90 between Route 128/I-95 and Logan Airport/Route 1A. The 138-mile long Massachusetts Turnpike, Interstate 90, spans Massachusetts from West Stockbridge to Logan Airport in East Boston. 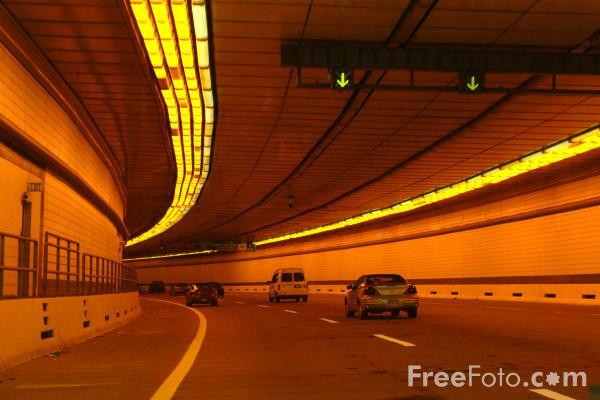 The Boston Extension, portions of the MHS, runs for 15 miles between Route 128/I-95 and Logan Airport/Route 1A, through the Ted Williams Tunnel and the I-90 Connector. VIEW: More images from the category Mass Pike Interstate 90 Boston MA or taken at the same location or around the same time .